from 'Description de l' Univers' , Paris 1683. 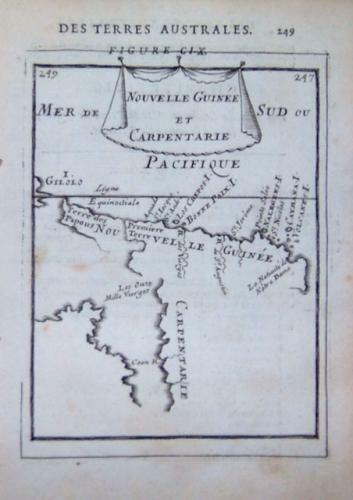 An interesting map of New Guinea and Australia at a time of geographical speculation. Very good condition, local faint browning, dark impression.